We received a PomTree Creativity set in exchange for an honest review. All opinions are our own. My kids love to craft, and while I want to encourage their creativity, it isn’t always easy to do when a huge mess is made. Glue and scissors can really create a disaster, leaving our kitchen table a sticky swamp covered in scraps. Luckily, PomTree wants what I want! They want kids to be able to get crafty and creative, yet want parents to not have to worry about a huge mess to clean. It is the best of both worlds. Recently I had the chance to try out one of PomTree’s craft kits, specifically the PomTree, Twinkle Top Tree House Kit. I will say my oldest daughter (almost 8) and I were nervous at first, as there are quite a few pieces and lengthy instructions to assemble this piece. However once we got started, we actually quite enjoyed it. The kit was easy to manipulate and the directions easy to follow. You need to stay organized and use a large work space as all of the small pieces can easily shuffled about, but I would say at her age this was not too hard to do. For younger children this kit may pose an issue, but for us it was just right. We were quite amused by the finished product, as it was a dreamy tree house indeed. My younger daughter has since dug out her miniature dolls and ponies to use in the tree house, and so far it as withstood the play quite well. PomTree 3-D Creativity Kits make great crafts for kids! 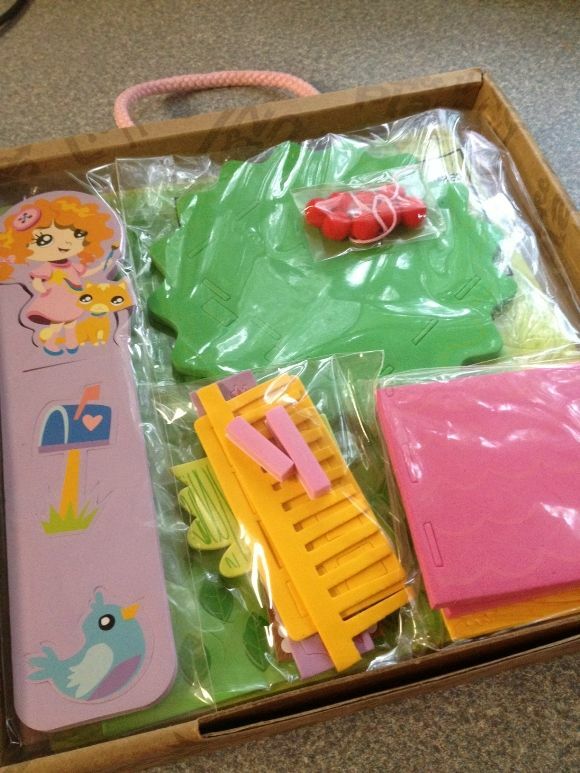 PomTree makes a variety of kits such as these, all made using durable foam and as mentioned, no glue or scissors required. Your finished product can be achieved without ever using a dab of glue or snipping a single piece. This was ideal for us since sometimes the mess created by art time can take the fun out of it. This way, we could create and enjoy the time together without worrying about a mess to clean up at the end. This particular kit runs around $9.99, however some PomTree kits are as low as $5.99. This makes them not only fun, mess free gifts but affordable ones as well. This is appreciated since so many quality kids toys and craft kits are becoming quite pricey these days. If you have a little artist in your life, PomTree kits may be a great gift idea for them. You will not only be treating them, but the adult who will be saved from cleaning up any messes as well. Head over to PomTree Viillage and check out all the different sets they offer! Follow PomTree on Facebook and Twitter to keep up with news. Enter below for a chance to win your choice of one PomTree 3-D Creativity crafts for kids play sets. Giveaway ends 11/21. Open to US residents only. Twinkle Top Treehouse is my fav; but they are all cute. We like the Feathered Friends Kit The Most! I like the Sunnyside Up Market set (although I think they are all cute!). I like the feathered friends post office. I would choose the Twinkle Top Treehouse. I like the Twinkle Top Treehouse. 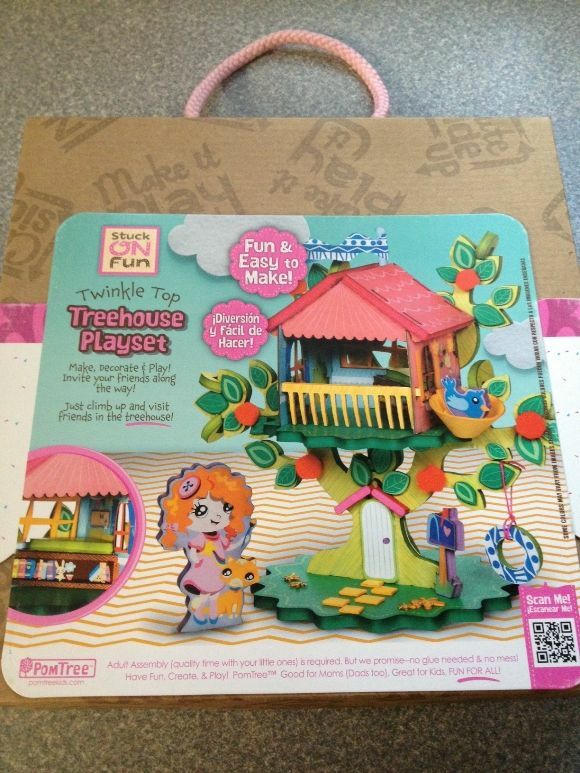 I would most love to have the Twinkle Top Tree House Kit. My daughter would love the Sparkle Fun Playhouse! Almanya’dan Bundesliga’ya yeni Ã§Ä±kan Hoffenheim’e dikkat Ã§ekmek isterim, 3. haftada Leverkusen’den 5 yediler ama bu hafta kendi sahalarÄ±nda Dortmund’a 4 attÄ±lar. Forvetteki Ä°bisevic-Ba ikilisi iyi anlaÅŸÄ±yor gibi gÃ¶rÃ¼lÃ¼yor. BakalÄ±m ligin geri kalanÄ±nda da bu Ã§k±nÄ±ÅŸlarÄ±Äa devam edebilecekler mi?